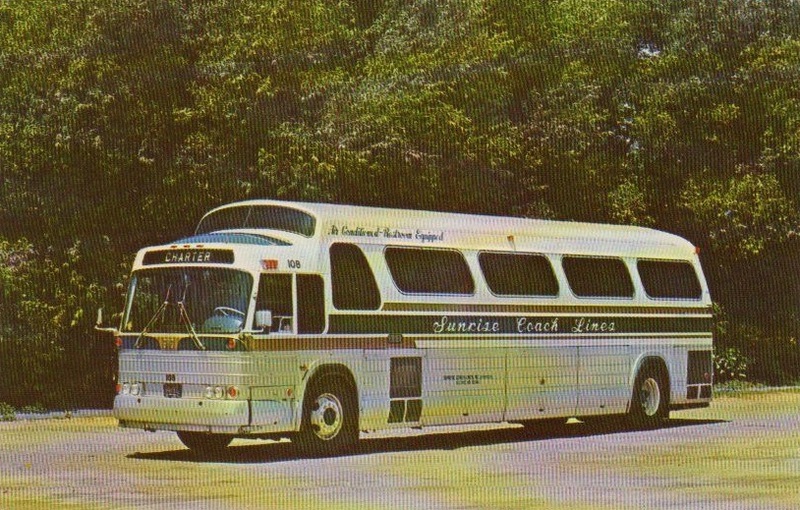 Found this photo of an MCI - 9 numbered 101 with Classic written on the side and classic Tours on the sign. I have no idea if this belonged to Classic Coach. Here is a screen grab of the front. My guess is it's 1970 GMC PD-4905 #108 from my list above. Absolutely correct. Photo was taken in the parking lot of the now gone Porky's Restaurant on the North Road in Greenport. I drove this bus many times, although only in the yard when I worked at Sunrise two summers as a cleaner/shop helper.